Nurses and other community health workers have two days left to sign a petition calling for parking penalty charges to be waived when delivering care to patients. The petition, set up by campaigner Elizabeth Pearce and supported by the Queen’s Nursing Institute (QNI), has attracted more than 6,000 signatories; however, a total of 10,000 is needed by 12 September to compel the government to respond to the issue. RELATED: Legal advice: Do I have to report a parking fine to the Nursing and Midwifery Council? A QNI spokesperson said: 'This is an issue that causes a lot of concern and stress to nurses working in the community. 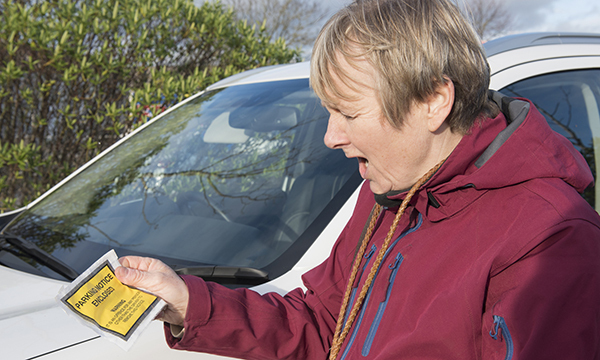 He added that a nurse could challenge a parking ticket but that the appeal may not be successful and their employer is unlikely to cover the cost of parking. Many people who have posted comments on the QNI’s Facebook page support the petition. Alice Page wrote: ‘Our local council issues permits to all community nurses. They allow us to park in "permit holder only" bays, and on double yellow lines as long as it is safe to do so. Carolyn Randle wrote: ‘This was a bugbear of mine when I worked in the district. Our council really didn’t want to know.